There is no doubt in saying that internet has become one of the most important things in today’s time. Be it downloading files, music or video or exploring various online shopping sites, broadband services play a crucial role. Whether you are at home or office or even on travel, the need of a right connection is always there so that you can do your necessary work over the web easily. Without having a reliable and fast connection, it is hard to think of hassle free web access. Therefore, it is really very important for users to decide what they actually want from their Internet Service Providers (ISPs) and how strong their connections are in your locality/ area. It has noticed that many ISPs offer enticing unlimited data plans to users so that they can trap in their web and start using their connections. Here, users need to apply their mind wisely. Actually, unlimited plans are quiet expensive as compared to other data plans. The main reason of this is the limited bandwidth available with ISPs. To adopt new technologies for better service, one needs to invest more. When investing is on the higher side, ISPs recover that amount by increasing the prices on data plans. Today connection rate ratio is 50:1 but many ISPs run more than 50 connections on single network with an aim to recover its investment. In doing so, the internet speed eventually becomes slow especially during peak hours. Many ISPs try to save some bucks on connection therefore they run many connections on single network. But there are few service providers also like TriplePlay who firmly believes in customer satisfaction. 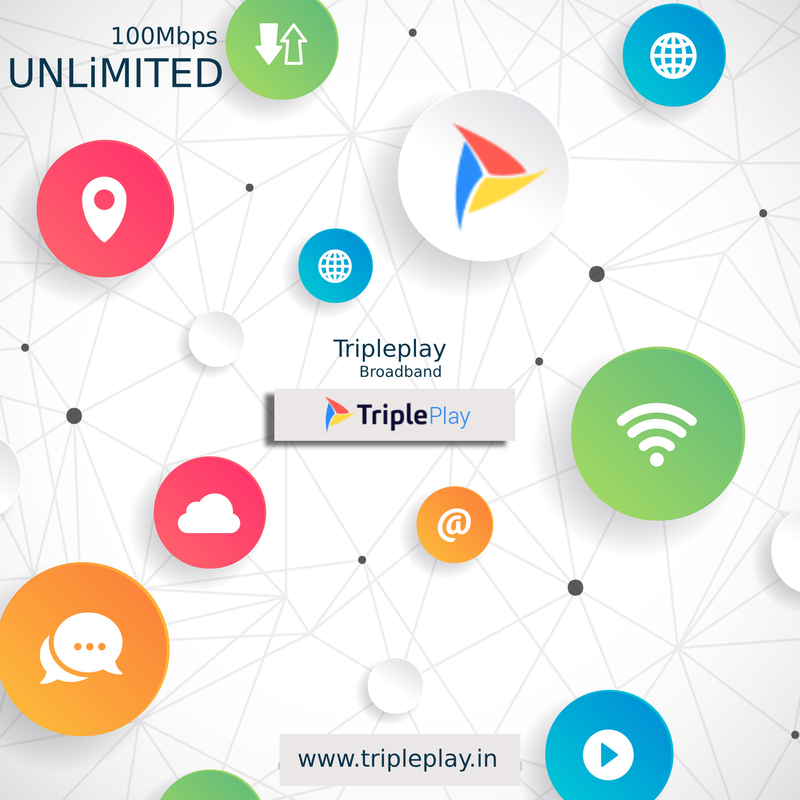 TriplePlay is among the first ISP which has brought Optical Fiber technology in broadband service in Delhi NCR to provide ultra fast speed at reasonable prices. Users need to understand that when their connection rate is high means more connection on single network line then connection speed will always remain on a lower side. In such condition, their unlimited plans are worst than a monthly rental plan. Therefore always look for connection rate of your network for better experience and usage of data. If you do some comparative research while staying in Delhi NCR, you will surely get a positive impression on its data services. Even during the peak hours, you will notice that the speed is comparatively quite good than its competitors. TriplePlay is successfully fulfilling the need the users both at home and office by providing ultra fast speed at best prices. So when it comes to choose any connection for home or business, just knock the door of TriplePlay and enjoy ultra fast web access like never before!